The CX-season is almost coming to an end. In Hoogerheide the CX-peloton started for the final World Cup of this season. On a hard and muddy track Mathieu van der Poel won once again. 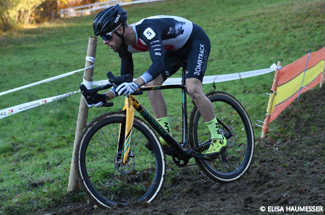 Gosse finished in 50th place, ending 41st in the overall standings of the World Cup. For Gosse the season is over now. He will enjoy some rest and focus on his school work for the next weeks.